As a new hunter, I thought that the Burris Eliminator would be the ultimate companion, and help me with my learning curve. I had my hands full enough with just getting used to shooting a rifle and hitting my target, that I didn’t want to have to study ballistics prior to my first hunt. So, I thought the Eliminator would be perfect for me. 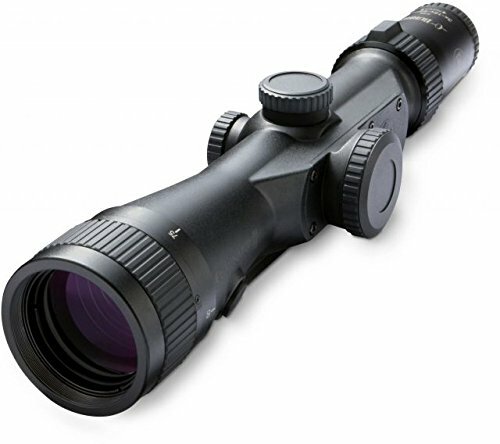 Burris Eliminator 3 Scope Review – Worth the Money? If you are unfamiliar with the Eliminator and it’s features, basically you need to sight your scope in at 100 yards and tell it what you are using for ammo. Once you do that, you should be all set to go. Let’s say you see a deer at 250 yards. With your scope powered on, you push the button while you are aiming at the deer, and the Eliminator will calculate that it is at 250 yards. It will then determine the drop for your specific type and load of ammo and place a red dot exactly where you should aim, to account for the drop at that distance. Doesn’t that sound wonderful? It did to me! Specifically on the 3rd generation of the Eliminator, it will also tell you what the wind compensation would be for 10 mph at that given distance. Unfortunately, I had so many issues with this scope (some to the fault of Burris, and others not), that it ended up completely wasting my time and almost ruining my first hunting trip. My first frustration came with the documentation that is included with the scope. With all of the cool digital features of this scope, Burris doesn’t tell you anything about how to operate any of it’s functions, other than the digital ones! Granted, I understand that a $1,500 scope is not most people’s first scope, it didn’t tell me anything about how to use any of the basic scope features. As a first time scope-buyer, this left me completely at a loss. Either way, I brought the scope to where I purchased my rifle and had them mount the scope for me. I purchased the Leupold Mark 4 base, which was the best quality option I had at this store. I was later told by a retired military sniper that he uses the same base. I thought I must have chosen a good base! Once I had the scope mounted, I then tried to site it in 3 different times at 3 different ranges. This included hauling the rifle & scope with me cross-country (and through the airports) to Arizona, in hopes of getting it sighted in before my hunting trip. For the sake of time, I will spare all of the details. At the end of my 3rd attempt, an employee at the gun shop/range I was at tried to sight it in for me, since I thought I must not know what I am doing. The good news was that I did know what I was doing. The bad news was that my scope was still not sighted in! Apparently my amazing base does not play well with the Eliminator scope. So, they recommended I order whatever base Burris recommends for it. This was about 4 days before my hunting trip. The employee told me how to compensate for the height difference that I wasn’t able to perfect with sighting it in, so that I could at least use it that weekend to hunt. Fast forward to my arrival at Waccamaw Hunting Services for my first hunting trip. Rick wanted to help me get my setup fixed, so we pulled my rifle out of the case. We tried to adjust the elevation knob, and it is now stuck and will not move. This was the straw that broke the camel’s back. For $1,500 on a scope, I should not have this many headaches! I definitely shouldn’t have build quality issues when I am spending that much money on a scope. In the end, Rick let me borrow one of his setups which I was grateful for. However, even as a new hunter, I could tell the difference between hunting with MY rifle and hunting with someone else’s. When I got home from my failed hunting trip, the Burris Eliminator got unmounted from my rifle, boxed back up, and shipped back! When I was at Rick’s, he showed me his NightForce scope, which I was a big fan of and ended up ordering when I got home. Once I get that one mounted and sighted in, I will write a review! My overall review of the Burris Eliminator is a big thumbs down. For $1,500, you don’t get what you pay for. Even as a newer hunter, I can tell that the glass doesn’t match up with scopes in that price range, and the build quality definitely wasn’t there. With all of the other headaches I went through, I was massively underwhelmed and disappointed with this scope. I would much rather have the $1,500 go towards build quality and glass rather than the gadgets so I can have a dependable scope that I can rely on and will be there when I need it. The first, the laser was misaligned and way under powered. The second had a ballistic computer issue after 10 months, and now the 3rd is giving very different bullet drop numbers to the other two, which is not good since I physically calculate BD numbers for very specific weather (air density) conditions. At least Burris have an excellent warranty replacement program. And yes, I treat my gear like gold, as to shoot well, it needs to be in the best possible condition.When the scope is working well, it is brilliant. Oh yes, and I am from down under in the land of Oz! !